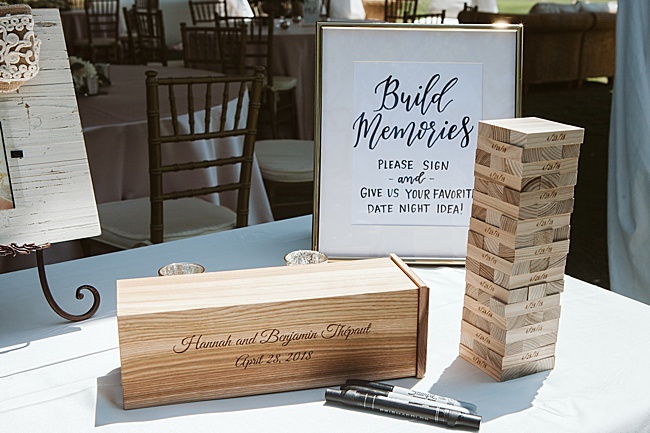 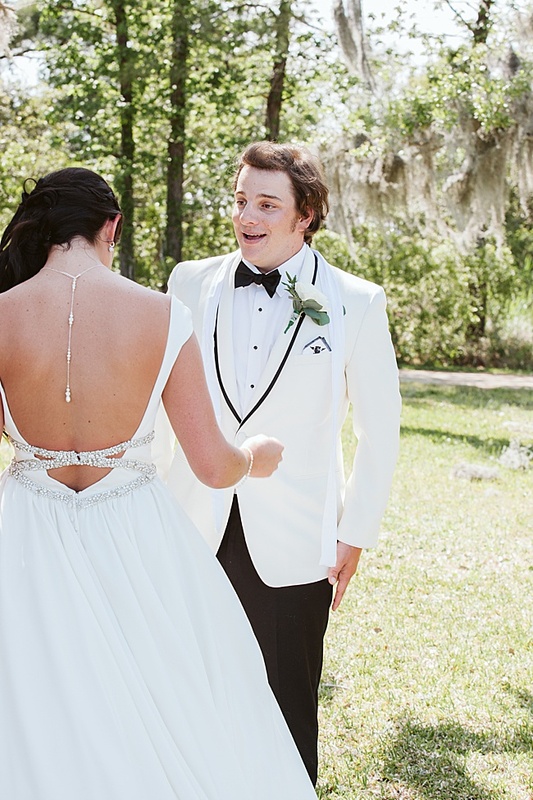 Hannah and Ben met on their first day of college at Coastal Carolina University, where they lived across the hall from each other. 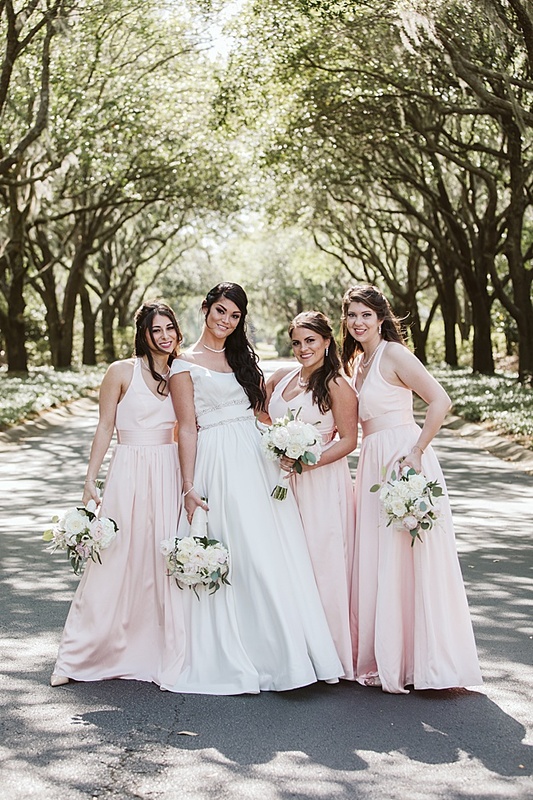 Hannah’s roommate, Natalia, and suitemate, Geena, would later be her matron of honor and maid of honor! 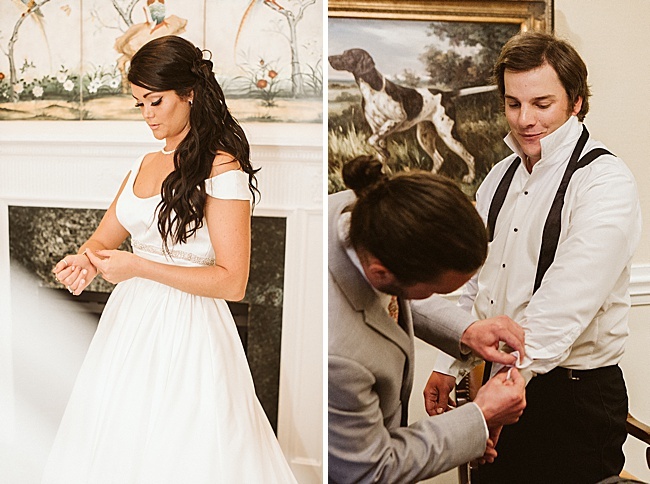 After seven years of dating, Hannah and Ben were in New York City for Natalia’s wedding. 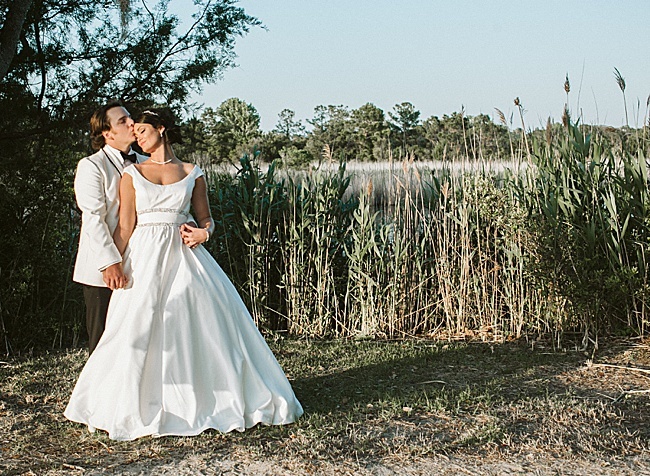 They decided to spend some extra time in the city to sightsee and explore. 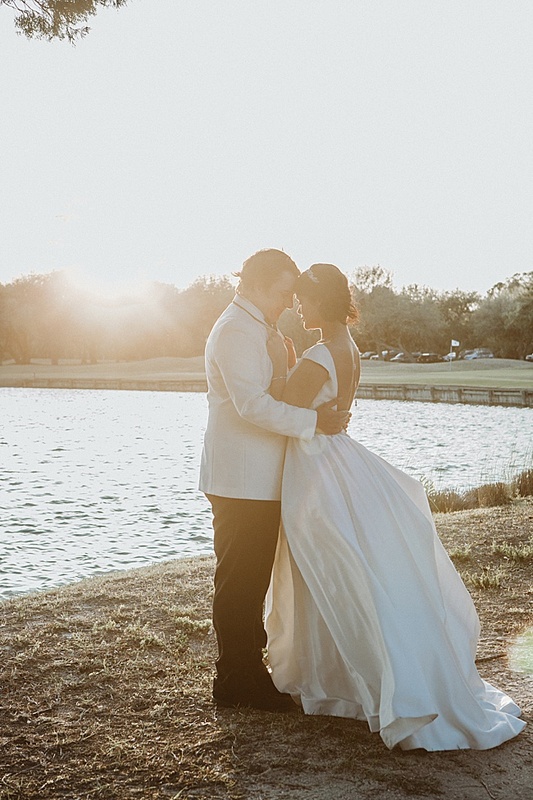 They walked through Central Park and enjoyed a couple’s massage before planning to meet up with their friends for dinner. 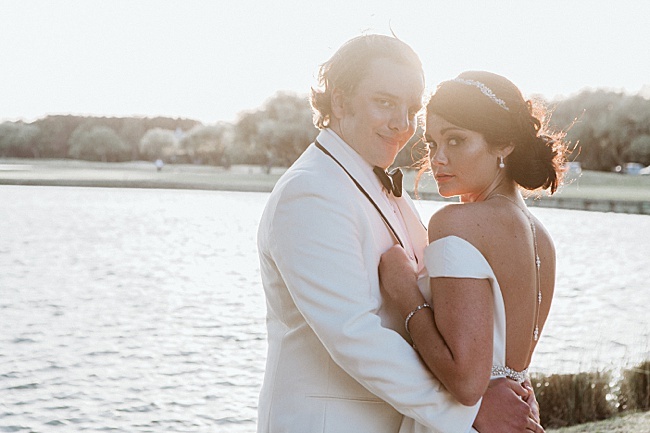 They were already running late, so Hannah was annoyed when Ben said he wanted to loop back through the park to get a photo at Strawberry Fields. 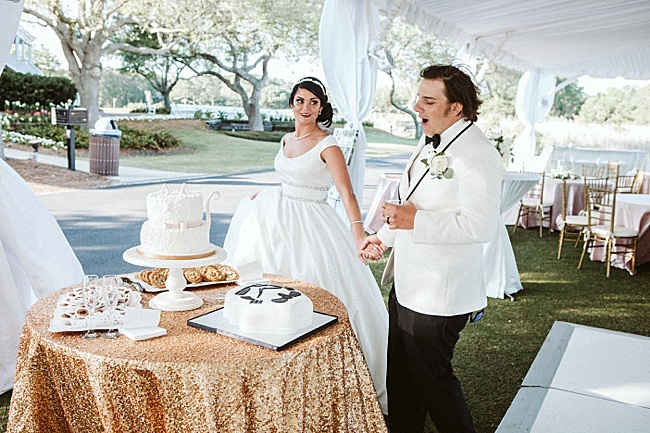 She even remembers rolling her eyes and turning around as Ben took out his phone to take a selfie. 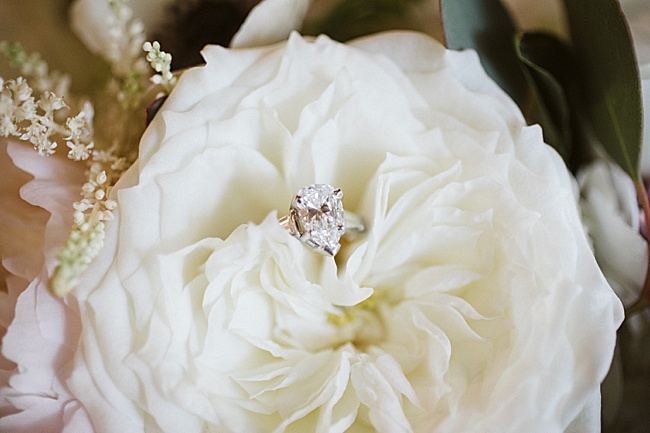 That annoyance quickly became joy when she turned back around to see Ben down on one knee holding a lighted jewelry box with the prettiest ring she’d ever seen. 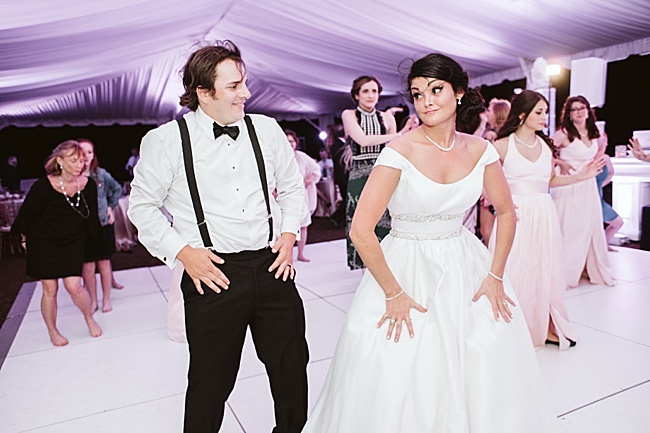 Ben had even hired a photographer to capture the very special moment. 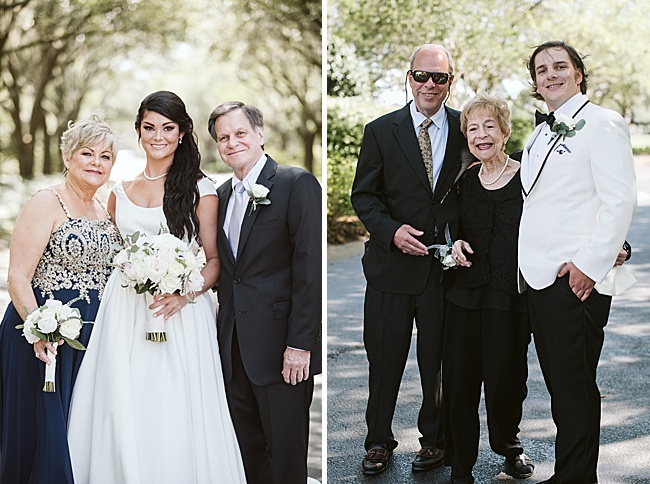 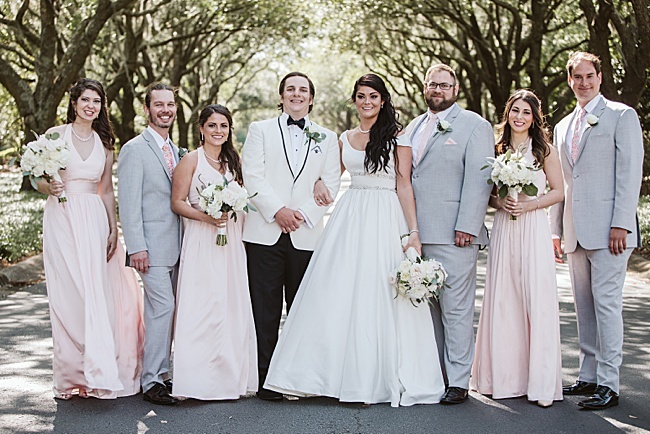 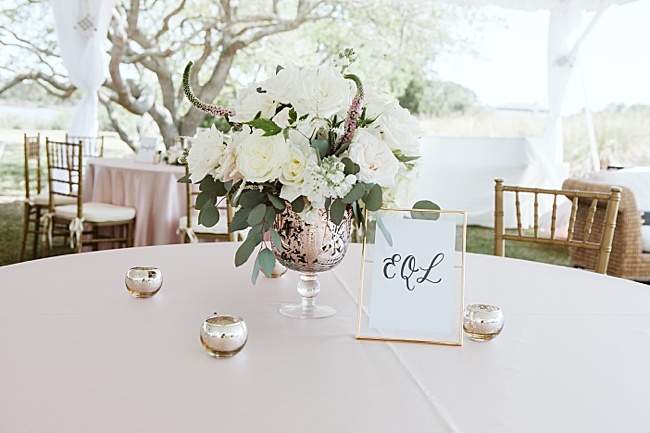 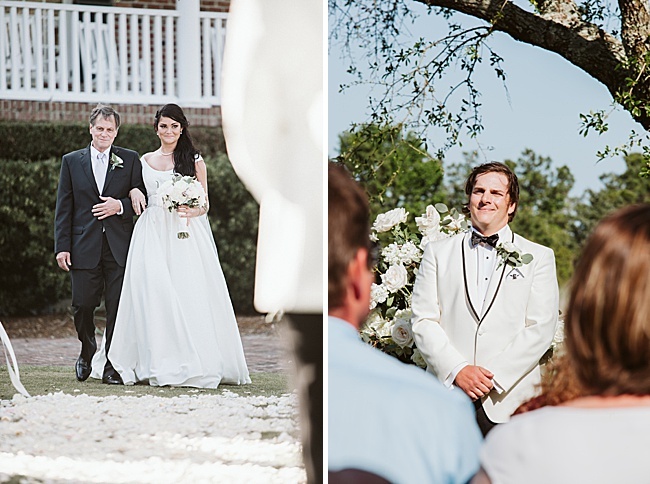 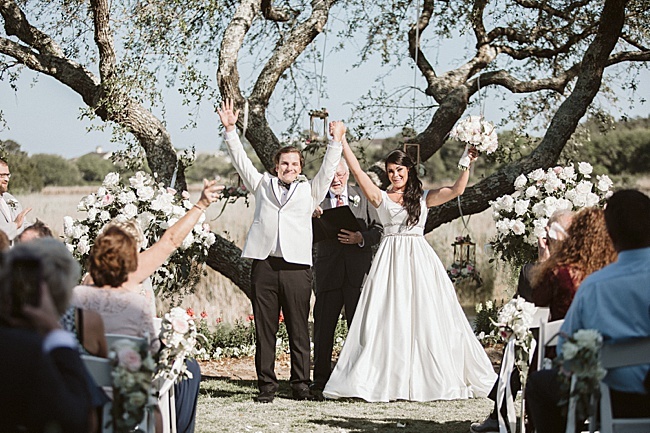 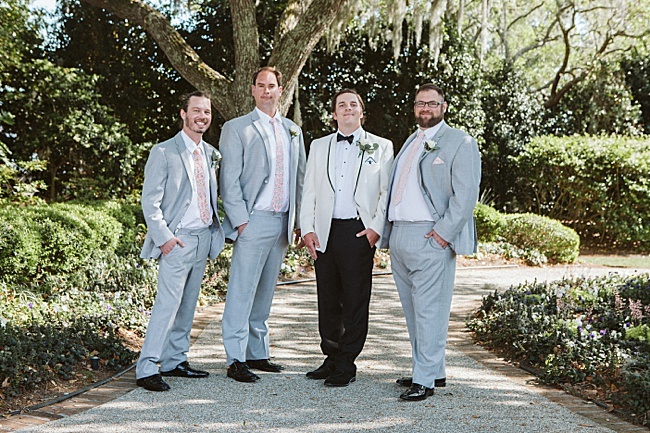 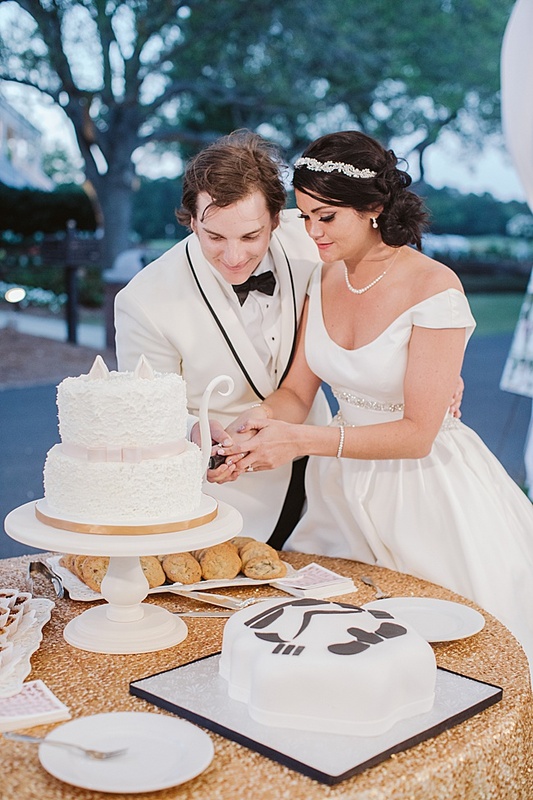 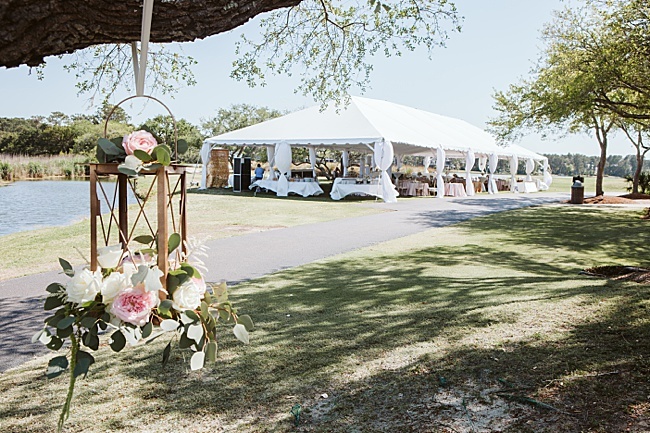 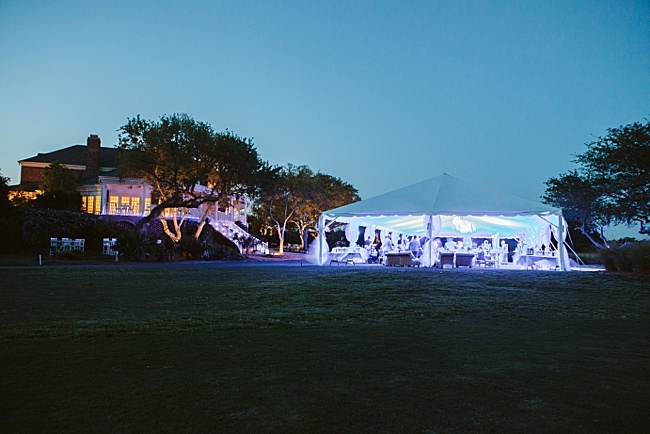 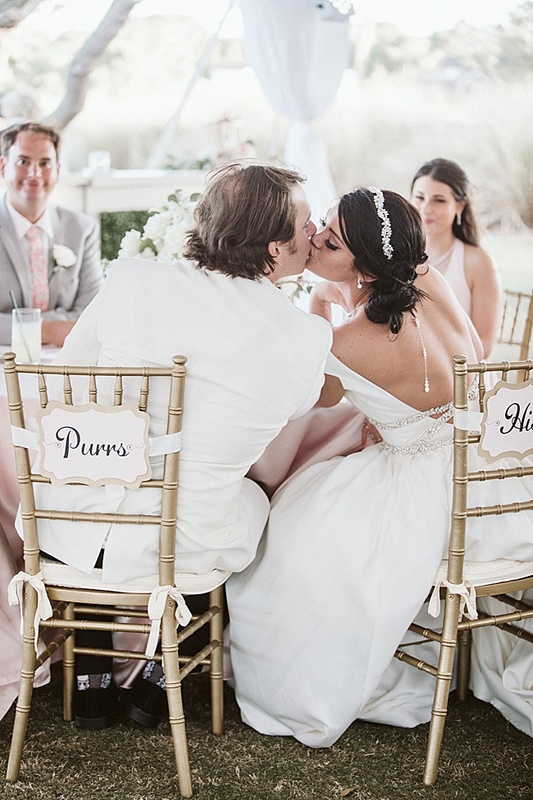 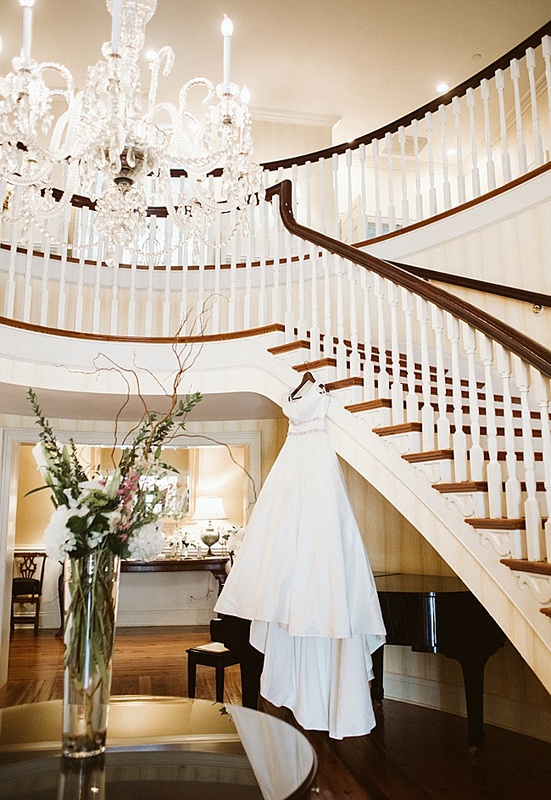 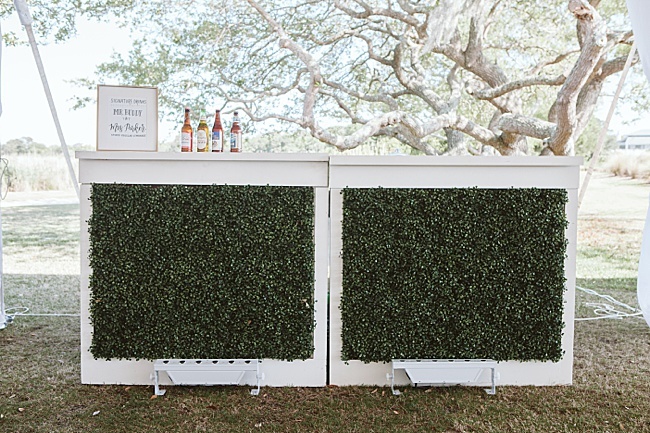 The April wedding was held at DeBordieu Club and featured a high-class Lowcountry theme. 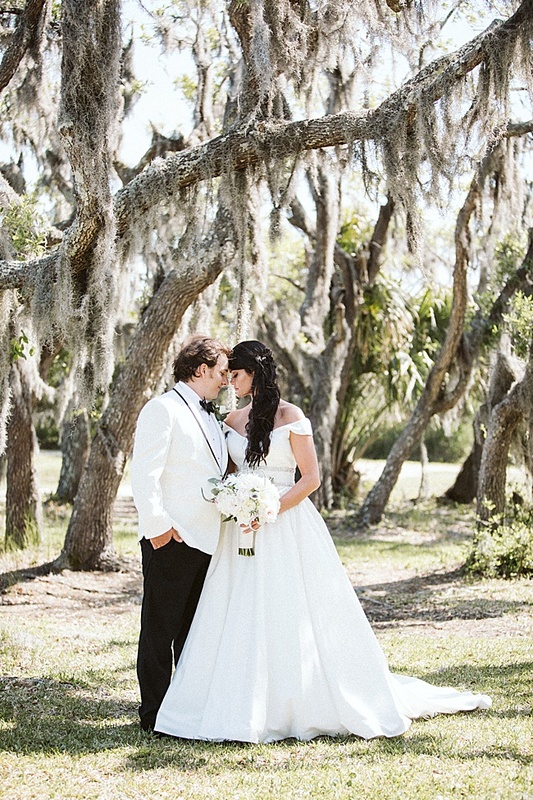 The pair wanted an elegant feel, but they also loved the swamp vibe with the gorgeous, draping Spanish moss. 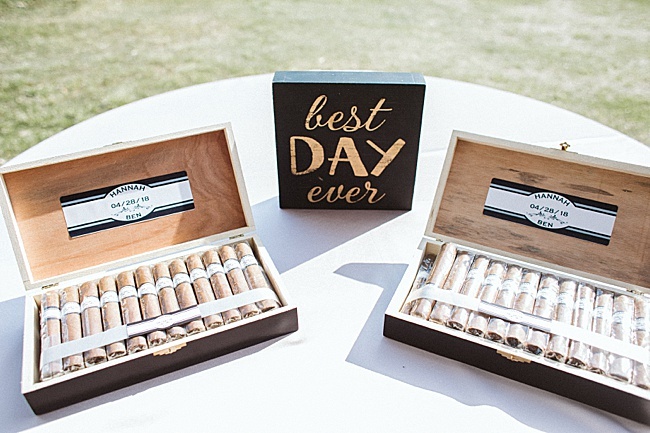 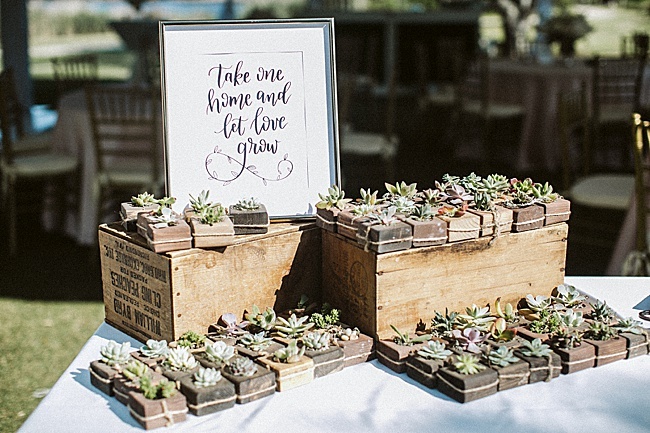 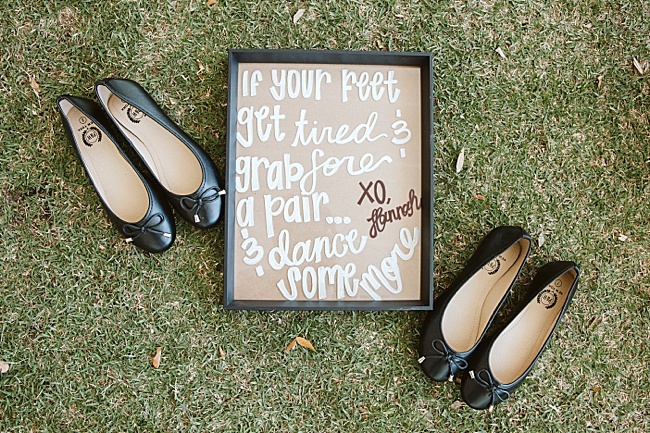 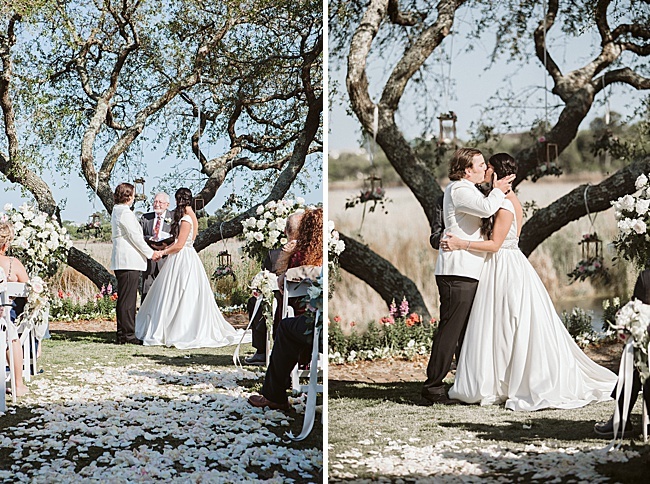 The big day, planned by Stunning & Brilliant Events, was beautifully captured by Paula Player Photography. 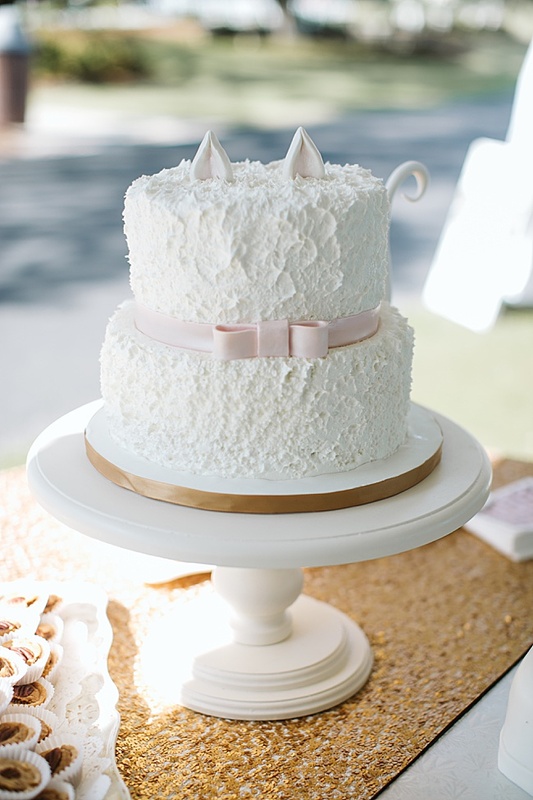 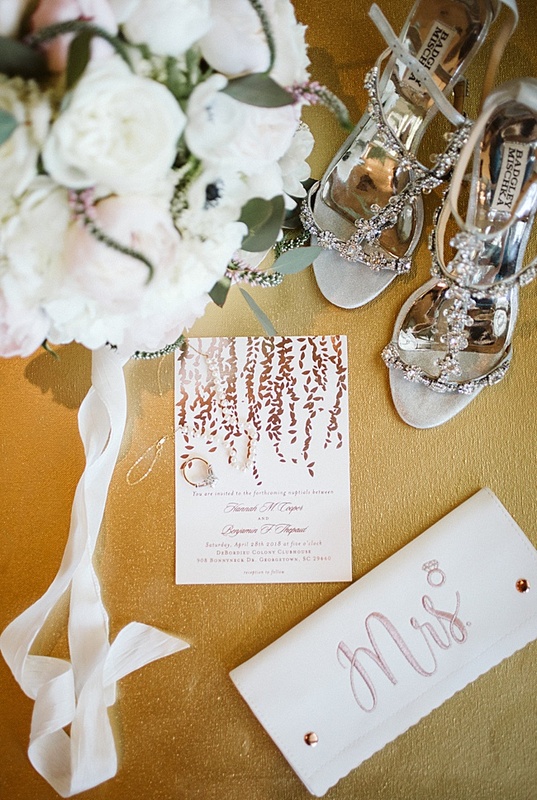 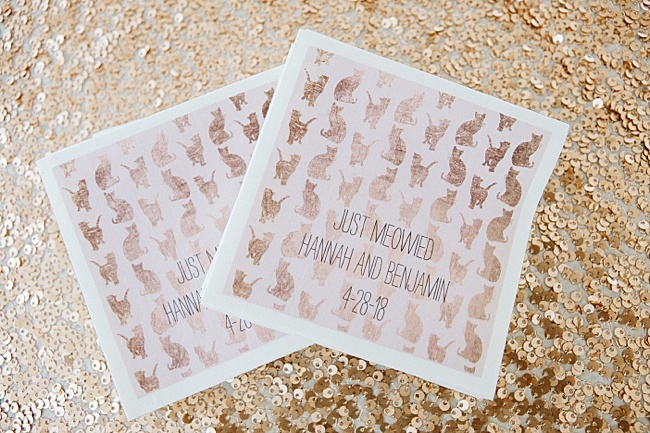 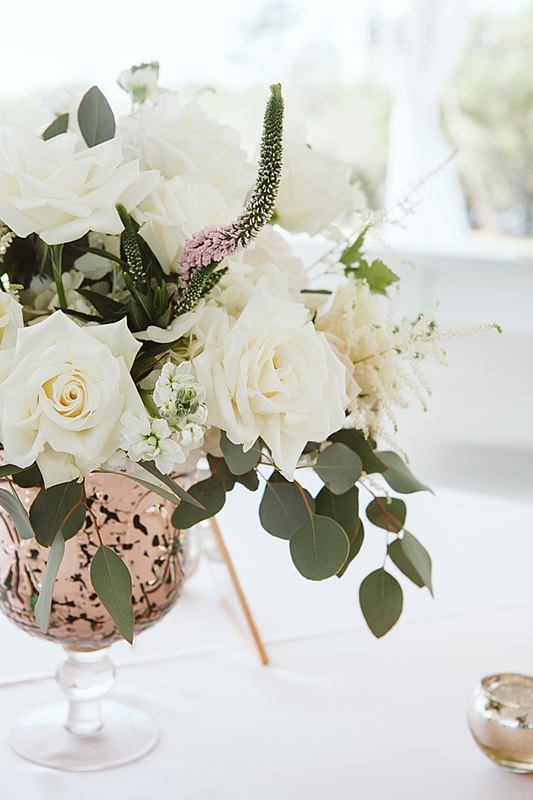 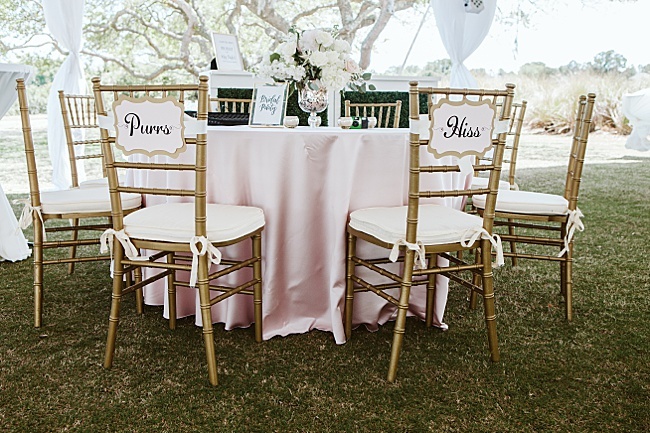 The colors were rose gold, blush and ivory. 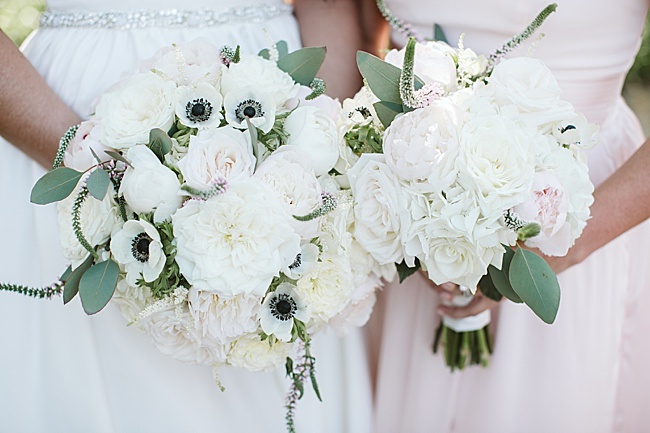 Little Shop of Flowers created the florals, which included peonies, hydrangeas, ranunculus and roses. 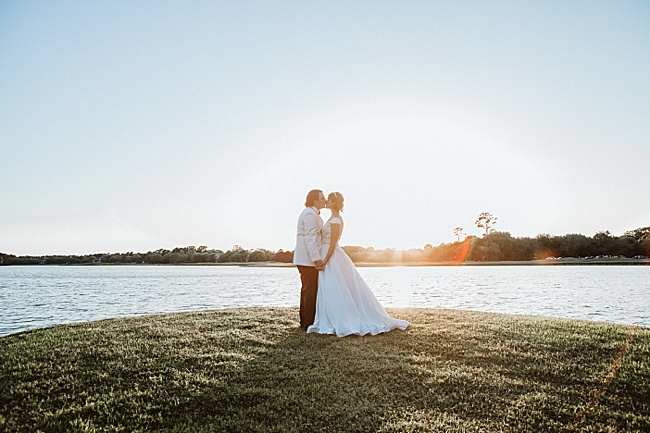 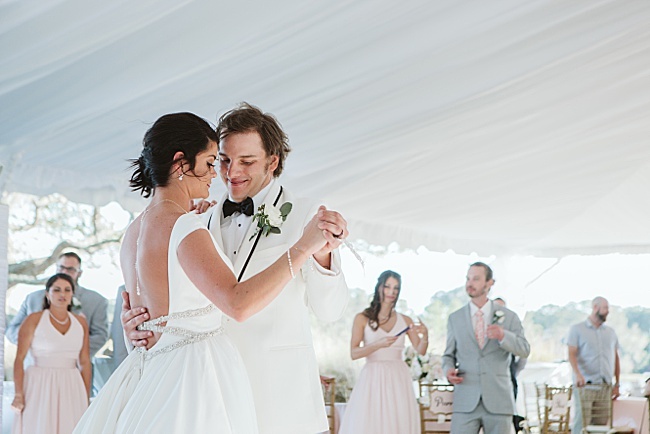 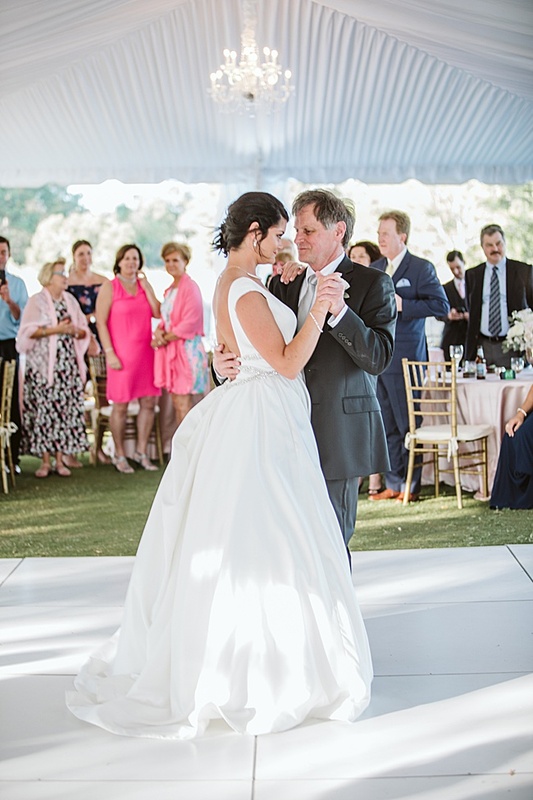 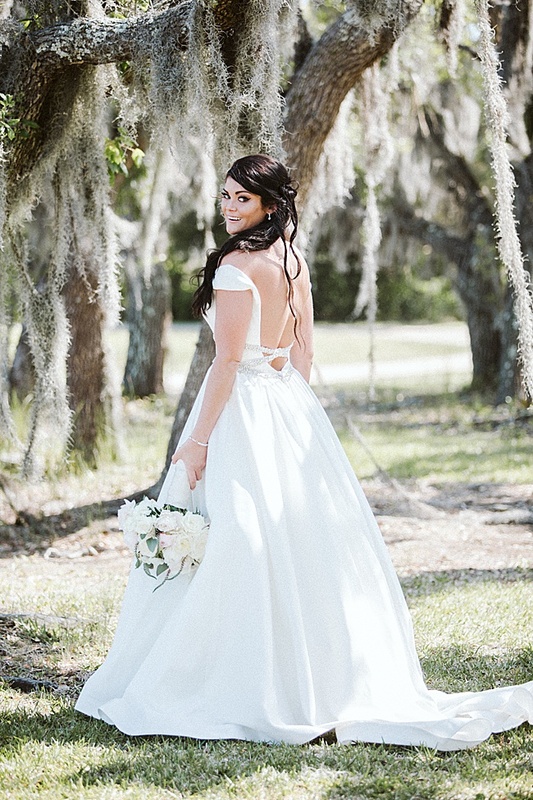 The bride wore a Madison James ivory satin ball gown from Fancy Frocks with cap sleeves, a scoop neck and a deep v back with criss-crossing crystal braids. 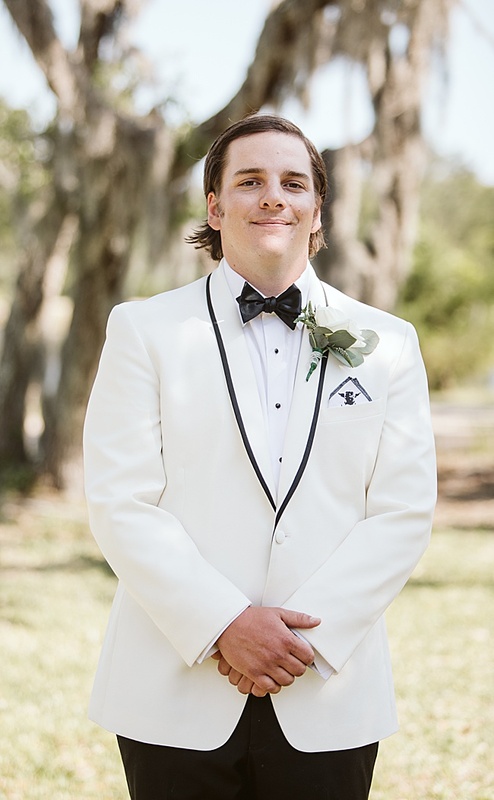 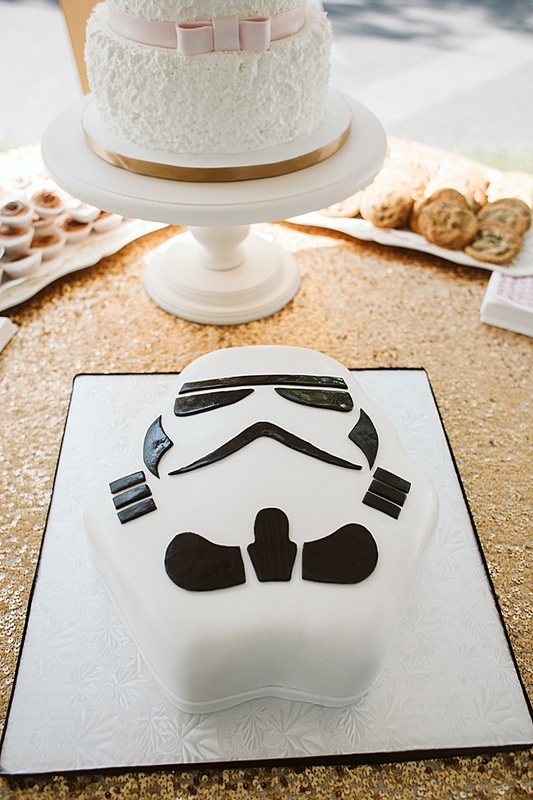 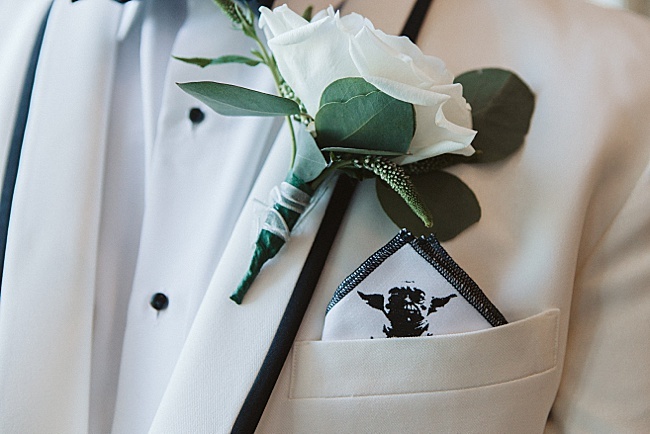 The groom wore an ivory Vera Wang tuxedo with a Yoda pocket square. 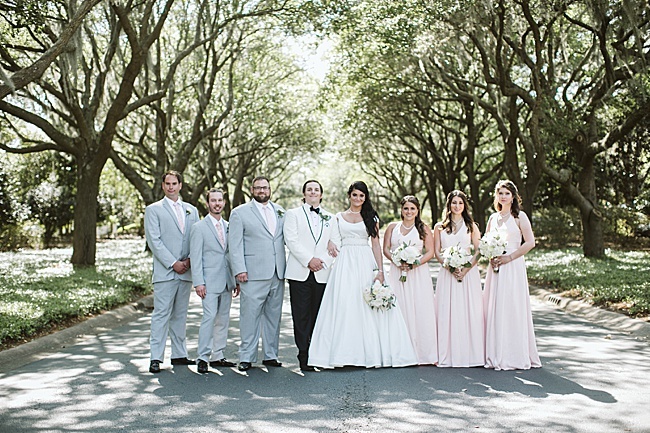 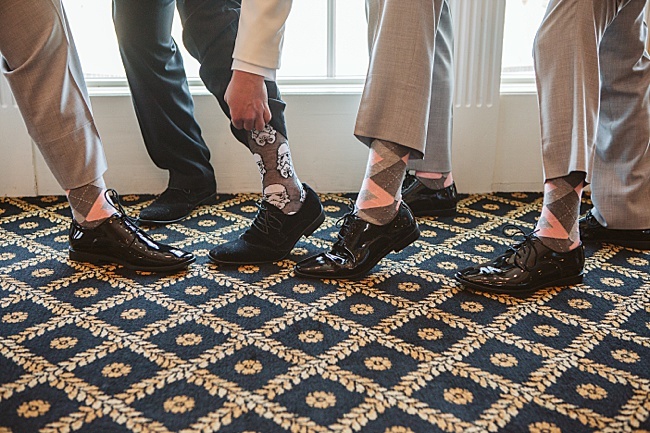 The bridesmaids donned elegant blush dresses and the groomsmen were clad in grey suits with floral ties and pocket squares. 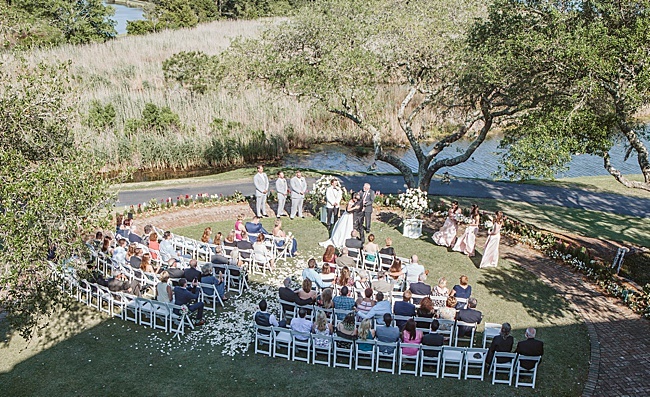 The outdoor ceremony took place by the swamp.